The conventional answer to that question is that less coal is being burned for electricity in the US, thanks to cheap natural gas, renewables, and federal regulations. And that's part of it. But not the only part, or even the biggest. The biggest driver of US coal's decline isn't happening in the US at all. To see what it is, let's look at the latest company to go under. Last week, the United Mine Workers of America swallowed another bitter pill. At issue were the jobs, benefits, and pensions of miners who had been working for Walter Energy Inc., which was undergoing bankruptcy. In December, the company persuaded a bankruptcy judge to let it renege on its promises to workers, jettisoning its pension and health care commitments to make itself more attractive to buyers. The UMWA protested, eventually striking a deal with the company that bought Walter (Coal Acquisition LLC), getting some of the jobs and benefits back, at substantially reduced levels. Last week the miners grudgingly voted to accept the deal. It was quite a turn of fortune for Walter. Back in 2010, the company was riding high. It acquired Canada's Western Coal for $3.3 billion, well above market value. What inspired such confidence? "This is a transformative transaction at a time when global demand for metallurgical coal is surging," said Joe Leonard, interim Chief Executive of Walter Energy. Walter and Western, you see, both dealt almost exclusively in metallurgical coal. What is metallurgical coal, you ask? Good question. Most coal is thermal coal (sometimes called steam coal), used to fuel power plants to create electricity. Somewhat more rare and more valuable is metallurgical (or "met") coal, which has higher carbon content, lower moisture, and fewer impurities than thermal coal. Met coal is used primarily to make steel. Most of the met coal produced in the US comes from the Central Appalachian Basin, where Walter's mines were. When Leonard said in 2010 that "global demand for metallurgical coal is surging," he wasn't kidding. 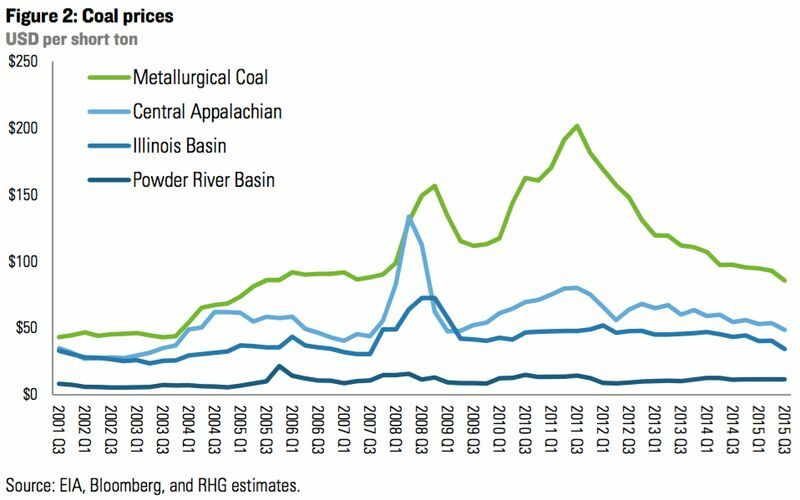 Here's the price of met coal versus three different regions of thermal coal. In 2010 and 2011, met coal was dominant, with a price almost 250 percent of thermal coal's. US coal executives made big bets premised on met coal surging forever. Arch Coal bought met producer International Coal Group for $3.4 billion [in 2011]. Alpha Natural Resources bought Massey for $7.1 billion in 2011, citing "a big opportunity to advance Alpha’s position as a premier supplier of metallurgical coal." And Walter Energy bought Western Coal. But then the met coal market crashed, prices dipping to $80 a ton. Why? China's economy grew at an average of 10 percent a year between 2002 and 2012, an unprecedented explosion of wealth and economic activity that lifted millions of people out of poverty. It involved an enormous amount of building. China now represents almost half of global demand for steel, which means global met coal prices are effectively set by China. It also involved an enormous amount of power, which came largely from thermal coal. But that's over now. China is shifting gears, slowing overall growth (down to 7 percent in 2015), and transitioning economic activity from building and industry to services and quality of life. China's steel demand grew at an average of almost 16 percent a year for 10 years, which is kind of crazy. It had to cool off, and it is. Few credible sources expect China's 2002-2014 hypergrowth to return. That's bad news for met coal. And it has been a kick in the gut to the US coal industry. Thermal coal is definitely declining — domestic consumption took a particularly big hit in 2015, for various reasons — but the bulk of lost revenue over the past few years is from declining met coal. 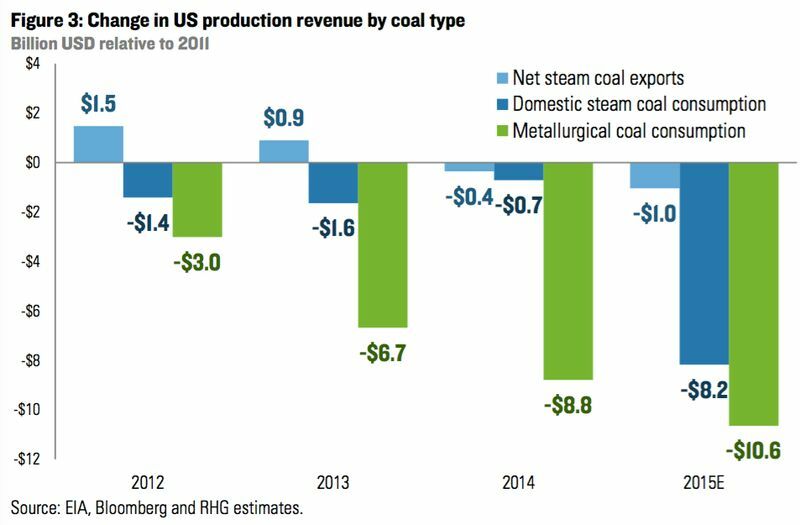 Between 2011 and 2014, 93% of the decline in US coal producer revenue was due to a drop in met quantities and prices. A sharp drop in US coal-fired power generation—and the resulting drop in steam coal production—played a more significant role in 2015, but met still accounted for 57% of the revenue decline relative to 2011. Coal companies have every incentive to publicize a "war on coal" as the source of their woes. It diverts anger toward Barack Obama and perpetuates the illusion that a Republican president might revive coal's fortunes. But US coal faces pressures no president can ease. 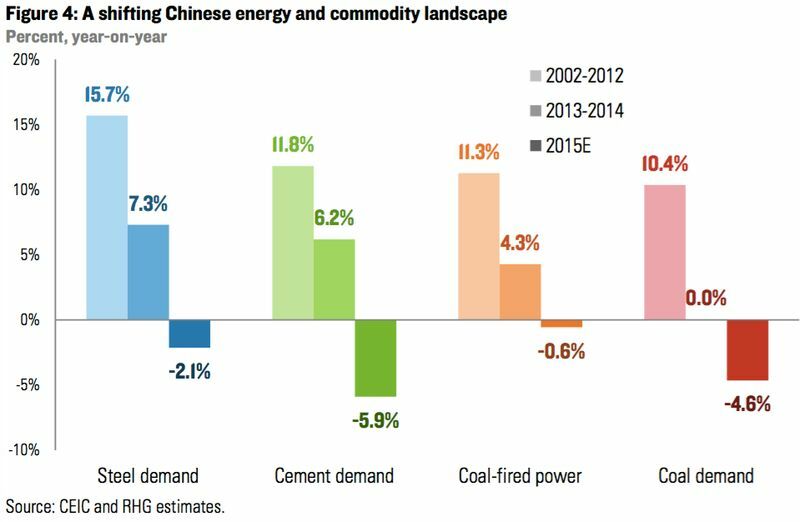 Most significantly, structural shifts underway in China are almost certain to continue, leading to suppressed export markets for met coal. There's not much anyone in the US can do about it. Meanwhile, the executives who made big, risky bets on met coal are getting bonuses, while workers who have given their lives to the mines are losing pensions and benefits. And a bipartisan plan in Congress to restore those pensions is being blocked by the senator from Kentucky out of spite for Obama. Coal miners truly have no friends in the ruling class.